Respawn, the developer responsible for giving us Titanfall, is said to be launching a new battle royale game today. It will be called Apex Legends, but the developers haven’t announced anything official about it just yet. That said, eSports analyst Rod Breslau has shared a few things about the game. For starters, it will be free-to-play, and as a result will be quite microtransaction-heavy. Things you buy are purely cosmetics, but it will still be published by Electronic Arts, so there’s that. In terms of gameplay, each session will have 60 players that can form teams of three, making a total of 20 teams in each game. Despite being a Respawn title, it doesn’t seem that the game will feature Titans, or anything seemingly related to the sentient robots. 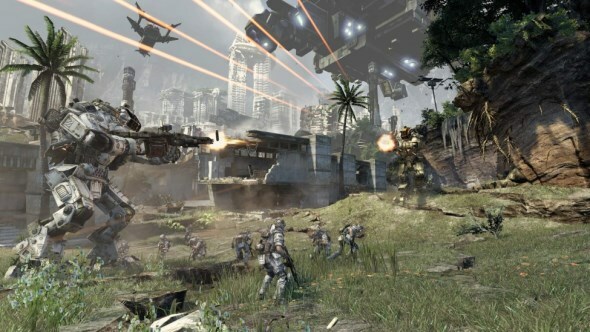 What could be featured are the other aspects of Titanfall’s gameplay that made for its fast-paced action. With the official reveal set for today, it won’t be long before we hear more about the game. If you’re starting to get a little fatigued over Fortnite or PUBG, this may be the alternative battle royale game for you.